In this article we can see the when to use REST and when to use JSOM depending on the scenario. REST is Representational State Transfer. REST is an architectural style and uses HTTP protocol. SharePoint 2013 onwards REST API is supported. For filtering data, REST supports OData protocol. You can find more REST examples from References. You can see References for source-code example. In this way REST is more preferred among SharePoint Programmers. Following are the advantages of JSOM over REST which I would prefer to use only in particular scenarios. Batching is the technique of tying multiple queries and sending to server. In this way, the roundtrip can be reduced to one. Scenario: You have a Web Page where 10 list items needs to be loaded. In the case of REST, this will require 10 roundtrips to the server. Right? But if you are using JSOM, you can wrap all the queries into one roundtrip. Invoke the Load() method multiple times as shown below. Then we can call the ExecuteQuery() method which will actually send the query to the server. This is the advantage of Batching in JSOM. Chattier is another term which means the Opposite of Batching. Chattier means it requires chat like request-response between client & server. So REST is chattier & JSOM not. In this article we can have explored the usage of REST vs. JSOM based on scenario. In this post I will take you through one common real-life scenario in SharePoint 2013. You are working on a SharePoint site. For testing a page, you need to Sign In as a different user. SharePoint only provides Sign Out menu item. On clicking the Sign Out you will get signed out & the browser may prompt to close. Once reopening the browser you will be again signed in as the old user. Problem repeats! How to Sign In as a different user? 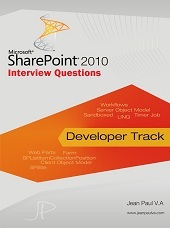 SharePoint 2010 had a menu item called Sign in as different user. But Microsoft removed it in SharePoint 2013 for various reasons. Following are few solutions to apply for the current situation. You can explicitly use the Close Connection Url with the parameter. On using the URL you will be prompted with the Sign In box. Alternatively, you can go to the IE Settings to change the Login option as shown below. Internet Options > Security (tab) > Custom Level (button) > Prompt for user name and password. If your Administrator is managing the settings, you will not be able to change it. In this post we have explored a common real life scenario in SharePoint 2013. In this article we can explore a sample JSOM code which will reveal the Batching advantage of JSOM. Batching is one core advantage of JSOM over REST API. Batching minimizes the roundtrips involved by grouping all the queries together. Network Roundtrip occupies the majority time involved in a web page loading. In this example we are using 2 lists named Contacts A and Contacts B. Please create these lists from template Contacts & add one item in each. Now create a new page & add a content editor web part. Insert following code into it. Change the server URL before saving. Save and Refresh the page. You can see that the items from both lists are fetched. You can see that the above message boxes shows items from 2 different lists. The code completed in one roundtrip instead of two. REST is Chattier, but JSOM allows Batching. In this article we have explored a JSOM batching example. In this article we can explore the typical Non-Functional Requirements in the SharePoint world. Let us see each category questions in the following table. In the real-worlds scenario these questions need to be answered by the business team. If Yes, On-Premise deployment would be preferred so that data would not go outside. You may need to cross-check the NFR with SharePoint Boundary Limitations given in References. In this article we have explored the typical Non-Functional Requirements for a SharePoint project. The template document is attached with this article.